I’m hoping the otter isn’t our actual mascot. Like, we won’t be the University of Illinois Fighting Otters or anything right? What I’m hoping is that we are the Fighting Illini, like always, and simply have a goofy mascot, for the kids/entertainment, running around. If that is the capacity of this funny character, and we don’t change our name to the Otters or something, I’m okay with this. Otters are better at sports than I would have thought. Illinois grad / fan living in Madison.....true story, my 5 year old daughter just saw me looking at this and goes...."Ooooh, Bucky Badger!!!" I'm pretty sure that even if this goes through we will still be the "Fighting Illini". That's not gonna change. This would unofficial, much like the Stanford 🌲. Interesting that they use the term "symbol" instead of "mascot." Does the M really mater? Does anything really matter? Haha. I included the M so that it looked and sounded a bit more like Alma Mater. Never noticed it before, but that jacket does look like it might be orange and navy plaid. I don't know about you but I'm not going to hang around this thread and listen to you bad mouth the United States of America. Myself and all my other friends who graduated in the last 5 years also hate it. Cause it's dumb. Next? Indiana doesn't have a mascot. Why do we need one? We never had one before. Didn't you, uh, regularly dress up as a cow for basketball games? Yah and all I got for it was a $150 gift contest gift card and some Sportscenter appearances. We didn't start a petition to make me the official mascot of Illinois. We can't stay symbolless/mascotless forever (block I doesn't count). Why not? We wouldn't be the first. As a non-dues paying member of PETA, I do not approve! Enough with objectifying the bodies of beloved animals. Even faux fur is harmful to society as it perpetuates the belief that animals are to be adorned as articles of clothing. I much rather you objectify humans since Illinois has such a great accounting program, how about you use an Auditor as a mascot. They're pretty scary. If you don't believe, take a bunch of write-offs before April 15th. Glad to see there has been quite a lot of vocal opposition to this dumb idea over the past weekend. Hopefully our administration has a bit more common sense and awareness than the ISG does. As I've said. If someone in the Krush wants to dress up as an unofficial otter mascot, go right ahead. But it better get no where near official status. We could do a lot worse than an otter. So you’re saying we should start killing auditors and wearing their skin as clothing? While tempting, I don’t think I can endorse this. 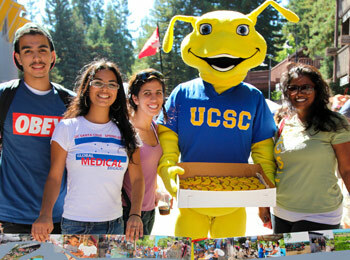 Haha, nothing wrong with the Banana Slugs. 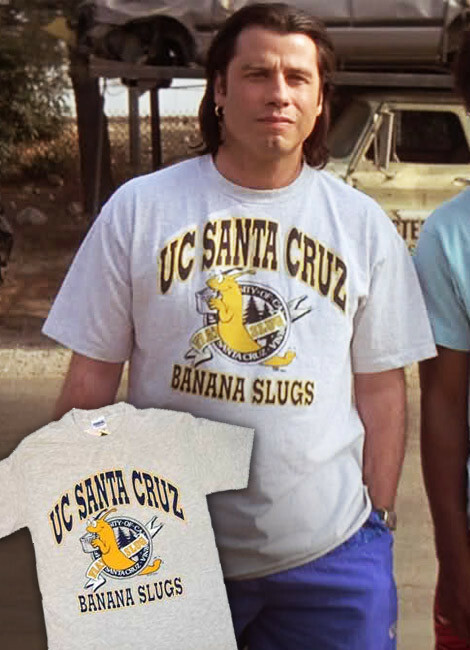 I don't recall seeing UIUC get any promotional shots in Pulp Fiction. (Edit: Credit to BirdDog9048 for just beating me to the punch). In a somewhat serious note, I think UIUC should take a page out of the obscure mascot handbook of minor league baseball teams. There's got to be something better out there. I'm not anti-otter, but there's some sense of panache missing with it. I'm not anti-otter, but there's some sense of panache missing with it. I stand corrected! Though with handles like that, we're looking at less of a mascot and more of a PG.